John (Johnny, as he was later known) Mack Brown was born in Dothan, AL, and was a star football player on his high school team going on to the University of Alabama on a scholarship and becoming a standout player there. Winning the NCAS Division 1-A championship, his team went on to win the Rose Bowl with Brown being named the game's Most Valuable player after scoring two of his team's three touchdowns that day. 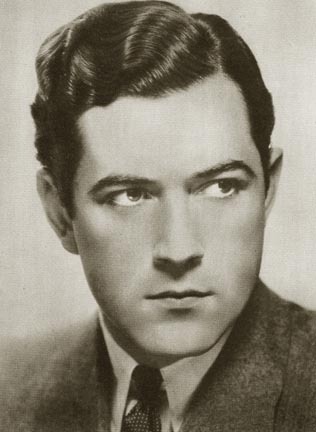 This national attention brought him a movie offer from MGM where he co-starred with some of the major stars on the lot - Norma Shearer, Joan Crawford, Anita Page, and others. In 1929, he was Mary Pickford's love interest in her first talkie, "Coquette" (1929). He was chosen to star in King Vidor's prestigious "Billy the Kid" (1930). Although he was featured in several more MGM films in the early 1930's, he was never considered a great actor, and his career never really took off. By 1932, he was making B westerns and finding his niche for a long and prosperous career as a cowboy hero. He starred in dozens of these films in the 1930's and 1940's, made several television appearances and appeared in his last film in 1965. Brown married Cornelia Foster in 1926, a marriage that lasted until his death in 1974 at age 70.